This told me the last device that woke my laptop up, it was wuauserv. Windows Update. Change Windows Update to anything but Automatically download and install updates. I changed mine to manually install. If nothing shows up from running the command above then have a look at other devices that might be set as an option to wake up the computer. 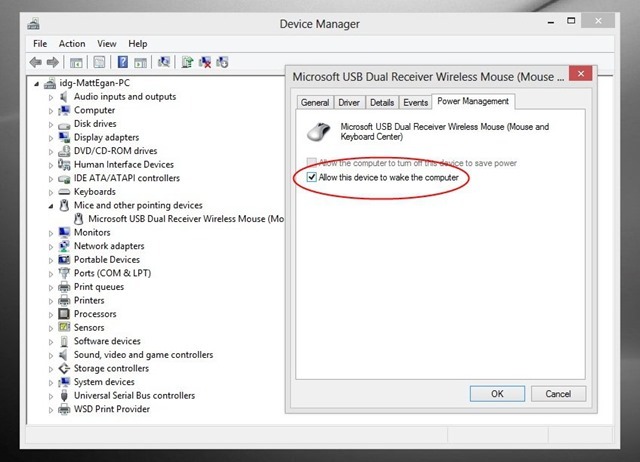 Un-tick the the “Allow this device to wake the computer” box for for devices shown above in device manager.